A new study by The National Institute on Alcohol Abuse & Alcoholism, NIH, Bethesda, Maryland, USA and Department of Biomedicine, University of Bergen, Norway, suggests that consuming sufficient amount of EPA and DHA Omega-3 polyunsaturated fatty acids prevents the fat producing effects of the excessive Omega-6, the other polyunsaturated fatty acids abundantly found in red meat. 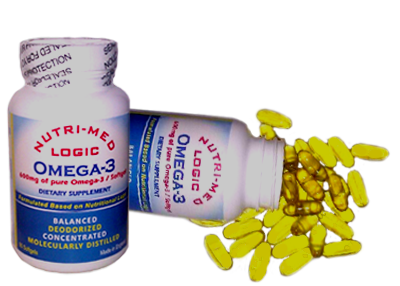 Nutri-Med Logic Corp adds, while this study investigated the benefits of Omega-3 in preventing diet-induced obesity, another very recent study found that consumption of Omega-3 also resulted in short-term weight loss in obesity. A new study on the regulatory effects of lipids, more specifically Omega-3 and Omega-6, in promoting or preventing appetite, recommends sufficient consumption of EPA and DHA polyunsaturated fatty acids of Omega-3, in order to offset the appetite producing effects of excessive Omega-6, the other polyunsaturated fatty acids abundantly found in red meat. 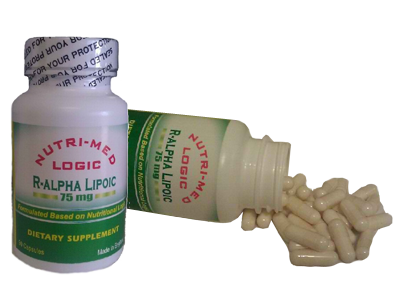 Nutri-Med Logic Corp adds that another recent study consisting of 6 daily dosage of Omega-3 for 4 weeks, followed by 10 weeks of weight maintenance, also resulted in weight loss in obese individuals. The study by The NIH and University of Bergen investigated the role of excessive dietary intake of polyunsaturated fatty acids of Omega-6 and appetite (Endocannabinoid system), more specifically if excessive intake of Omega-6 would produce hyperactivity of this system and thus induce obesity. Endocannabinoid system is modulated solely by Omega-6, which is implicated in many physiological processes such as appetite and mood. In The NIH study, animals were divided to two groups. One group having high Omega-6 intake and the other group having low Omega-6 intake for 14 weeks. The study found that only the high Omega-6 intake group developed diet-induced obesity. However, when Omega-3 was added to the diet of this very same group, the metabolic pattern of the high Omega-6 intake group resembled the low Omega-6 intake group. As the result, the study suggests the adipogenic (fat promoting) effect of Omega-6 can be prevented by consuming sufficient EPA and DHA and that Omega-3 intake normalizes the endocannabinoid tone (its hyperactivity). Another very recent study, double-blind, randomized, controlled trial with two parallel groups, one having a diet consisting of fish oil (the richest source of Omega-3) also found that the fish oil group enjoyed an improved metabolic profiles and there was a significant reduction in fat mass for the fish oil group. In conclusion, Nutri-Med Logic Corp agrees with both these studies, to wit Omega-3 is very beneficial in preventing some aspects of diet-induced obesity as well as body mass reduction in obese individuals but adds that Omega-3 diet is not a weight-loss system or weight-loss program. Nutri-Med Logic Corp adds that, based on the duration of these two important studies, any Omega-3 diet with intent to offset some of the aspects of diet-induced obesity or reducing body mass in obese individuals may have to follow the same time pattern as these two studies: 14 weeks.